Jacqueline Miller Brown enjoys inspiring others through her writing. Her poetry, articles, and word puzzles have been featured in various publications, including articles in the Vicksburg Post. 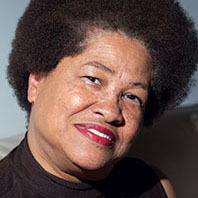 Brown served as the women’s editor for the newspaper magazine The Voice in Decatur, Illinois, and she was an educator for many years, teaching English and reading courses throughout Mississippi and Illinois. Brown and her husband of forty-six years, John, currently reside in Utica, Mississippi. They have been blessed with two children and three grandchildren.